The first time Gerard Knepper, GJK-engineering got acquainted with IFC was in 2010 in a project with Xella, developer and manufacturer of building and insulation materials. – We looked for possibilities to exchange information with other parties via IFC. In that period, IFC was still in its infancy, Knepper recalls. After some research and programming work, the team succeeded in exporting the limestone bricks from Vertex and import them into Xella with minimal loss of data. – This was a very big step forward towards efficiency. To date, this technique is still used to exchange data between different parties. Another encountering with IFC took place when a residential tower was built. The rear wall of the tower needed a wooden framing construction of 12 m long and 3 m high. The wooden framing, including windows and exterior finish, had to be tailor-made in the factory. – To be sure that the wooden framing construction was going well, I looked for a possibility where I could place the existing concrete construction as a reference into my project. The client of the concrete construction could provide me with an IFC file so that I could import this into Vertex. To relieve the supplied IFC file of data, I used Vertex G4. This allowed me to delete the excess data so that the file could be used more easily. In a further stage of the project, the electrician could also provide me with an IFC of the electrical plan. 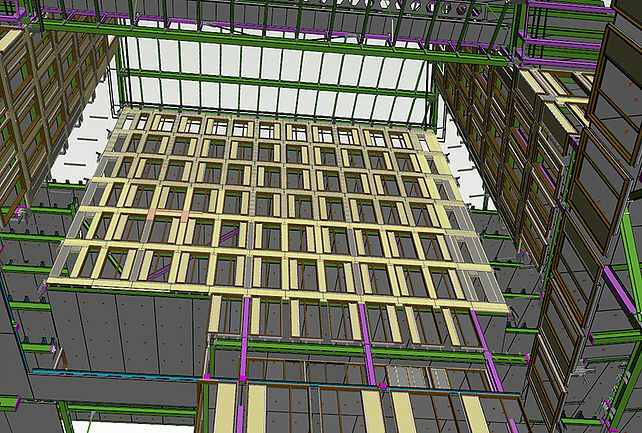 Through this exchange of IFC files, the wooden framing construction was tailor-made in the factory and installed flawlessly, Knepper describes. What more could IFC offer? After these projects, Gerard Knepper kept looking for other possibilities that IFC could offer. 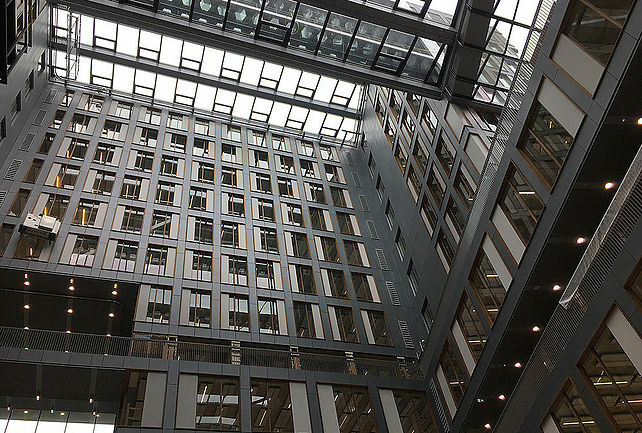 – The general development of IFC in the Netherlands showed encouraging opportunities when exchanging geometry and data linked to that geometry. 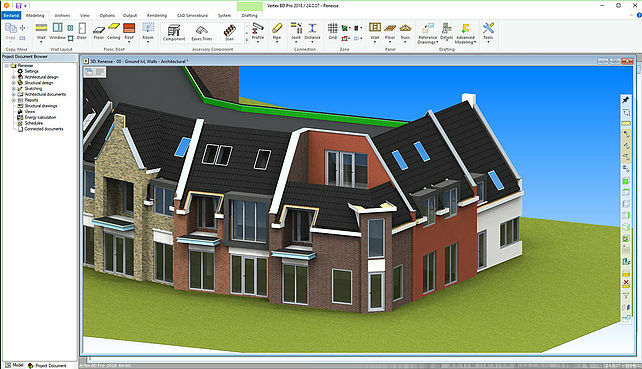 As a result, the Dutch construction decided to use IFC more and more. 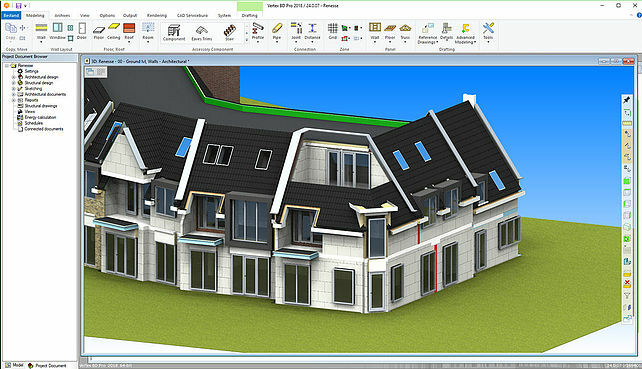 But the first projects set up in Vertex according to BIM did not appear to meet the data requirements of the Dutch market. – I solved this problem by enriching the model with data via an external program. Because IFC became so important, I contacted Vertex. I discussed my IFC development points through online meetings with a few employees from Finland. It struck me that they were very interested and constructively involved in making the right points for improvement in their system. In the run-up to the latest version, Vertex team contacted me to demonstrate the points. From my point of view, Vertex developers have made a big step forward. The enrichment of data after exporting a model is enormous, as is the space to add data to certain objects yourself is a big plus. – If you take “De Basis ILS” as a guideline for the use of IFC, you can come along with Vertex on almost all points. 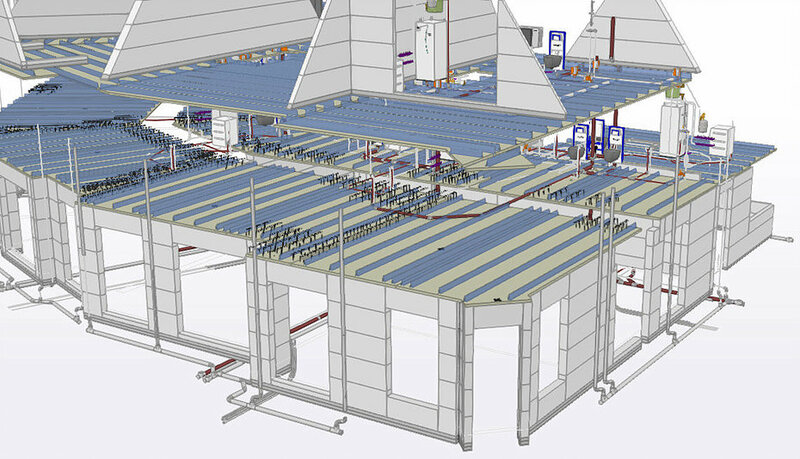 We notice that the demand for correct IFC models is increasing in the Benelux. Vertex certainly does not stay behind in that area. And with the current developments, I certainly see it as positive.